Since his compositions for NieR Automata and Final Fantasy XV’s Episode Gladiolus, Keiichi Okabe has quickly risen to being my current favourite JRPG composer. The eerie beauty he creates in his pieces is unique, with his use of vocals and instrument combinations adding to this. 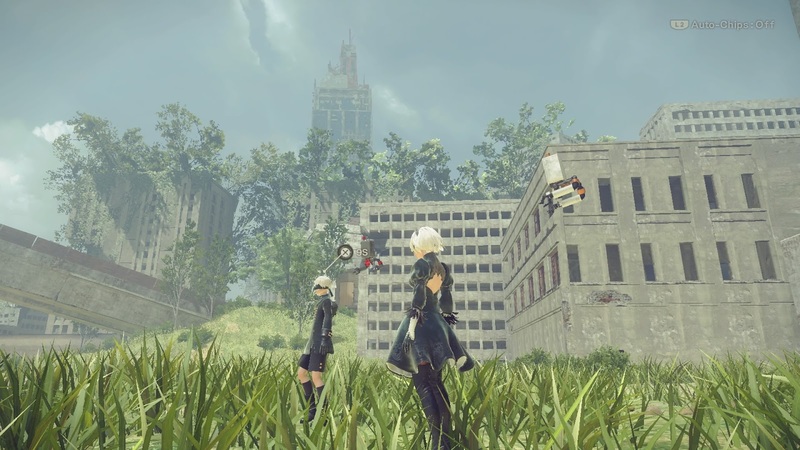 I mentioned in one of my other NieR posts that I heard NieR’s music was brilliant and Automata certainly proved that to me. I know it's only the first half of the year, but so far there's no question that NieR Automata has the best JRPG soundtrack this year so far and I'm pretty sure it's in my top 5 favourite ones ever. Speaking of top 5s, here are five of my favourite tracks from NieR Automata’s brilliant soundtrack. This Cannot Continue is special to me for a couple of important reasons. Firstly, it was playing the moment NieR Automata clicked with me. The scene leading into the track was so weird (in a good way) compared anything I'd played in recent memory and it was an unpredictable moment that evolved into a story boss battle with this amazing track behind it. 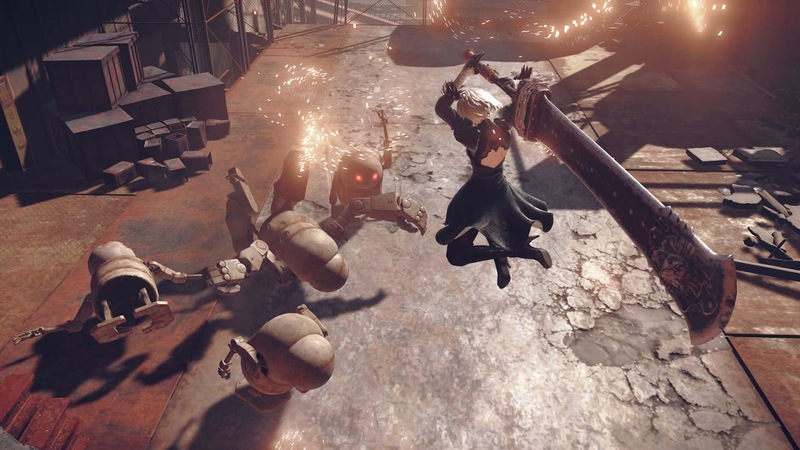 The tribal, pumping rhythm propels the fight up to epic levels and the mix of acoustic and electric sounds in this track is a good example of what Automata's soundtrack does best. 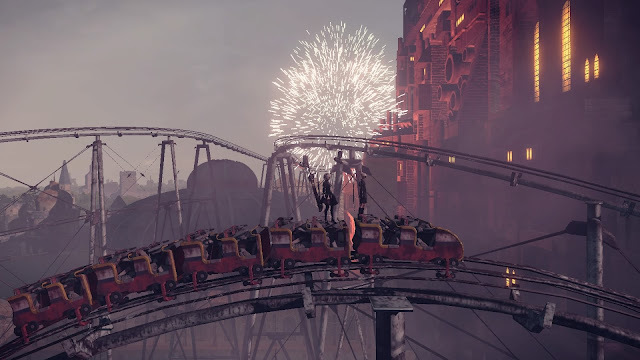 If This Cannot Continue was the moment Automata clicked with me, the Amusement Park Theme was the moment I fell in love with its music. The Amusement Park Theme encapsulates the creepy yet magical aesthetic of the Amusement Park with matching musical magic, with tight and quick guitars and slow piano put together with glockenspiels and beautiful vocals. Together they make a piece of music that has the perfect eerie vibe for this area, complete with a pop song structure that makes it addictive to listen to. A lot of the pieces in Automata are either creating suspense or a thumping action vibe, but the piece Rays of Light manages to be a pretty little exploration track while still featuring the musical elements carried throughout other tracks. Rays of Light may swap a lot of the strings and big percussion for guitars and pretty piano to create a softer feeling, but the piece is much like a song, with the vocals creating the emotiveness that NieR's other tracks have. It manages to be a great fit for running through one of the main open areas of Automata and is unintrusive while still creating the unique atmosphere NieR has. Rays of Light is also one of my favourite tracks from the Hacking versions of NieR’s soundtrack and helped make the track really grow on me. The simplicity of the 8-bit track brings out the melody in a new way and it's always interesting to hear a natural sounding track redone digitally. 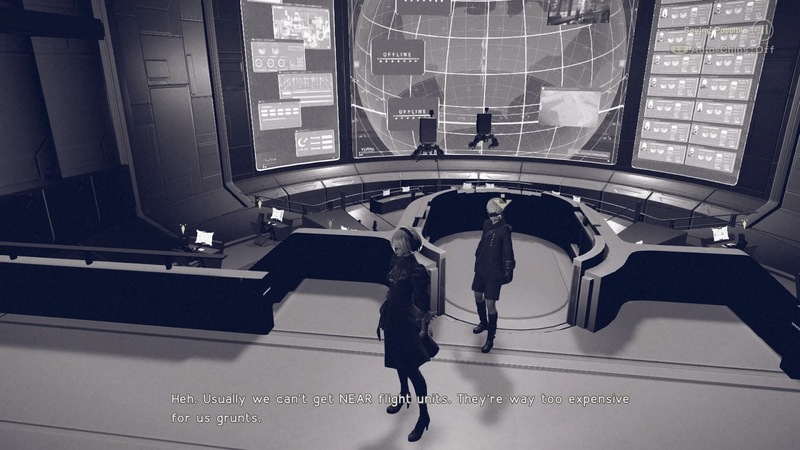 The existence of Automata’s Hacking OST is much like the multi-faceted nature of NieR and has a majority of its soundtrack redone in cool, 8-bit form as a new way to listen to the great soundtrack. 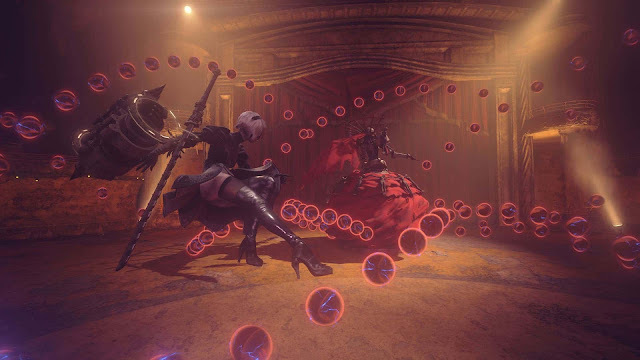 I’ve talked before about how NieR Automata’s trailers were a big part of what sold me on it and this includes one of the early trailer fights featuring 2B and 9S fighting a robot a wearing red dress. The piece A Beautiful Song makes the battle shown in that trailer so much more intense and the track matches the depth of the moment so well with its big vocal driven track with tension raising drums. 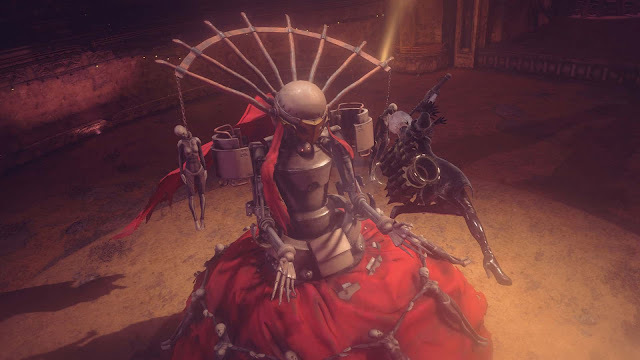 It's not every game that you can verse a robot in an Opera gown with music this epic and cool and A Beautiful Song is definitely up there in NieR’s best boss battle pieces. I left Pascal’s Village for last as it's the perfect combination of most of the things I love about NieR’s soundtrack. Pascal’s Village is one of the quirkier NieR tracks with its mix of childish vocals and electronic vocals in lead lines and harmonies and while spoilers are tough to avoid for this track, let's just say it's very fitting for its moment in the story. Pascal’s Village’s beautiful guitar and light percussion with these vocals help make the eccentric track one of the most charming tracks from Automata and contrasted with the epic boss battle music shows Keiichi Okabe’s blend and range of styles very well. 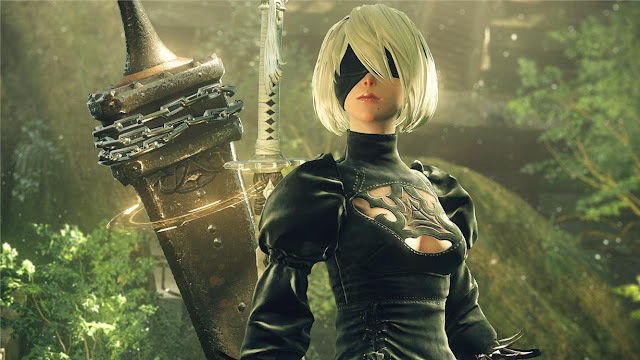 You can pick up NieR Automata's OST or the PS4 game at Play-Asia.com! What's your favourite track from NieR Automata? What's your favourite JRPG soundtrack?